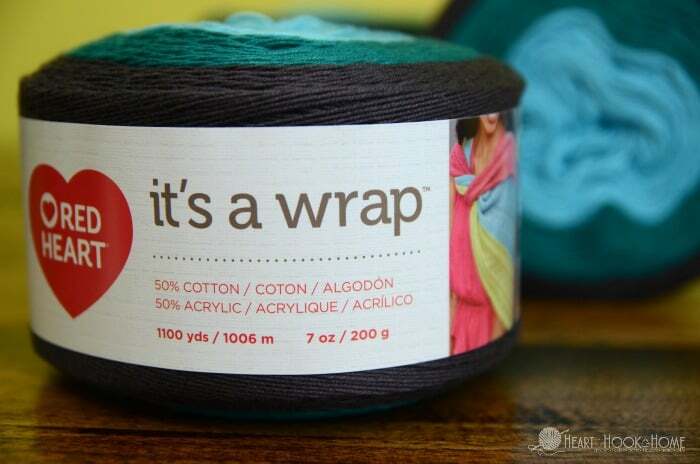 Have you seen Red Heart’s NEW It’s a Wrap yarn? 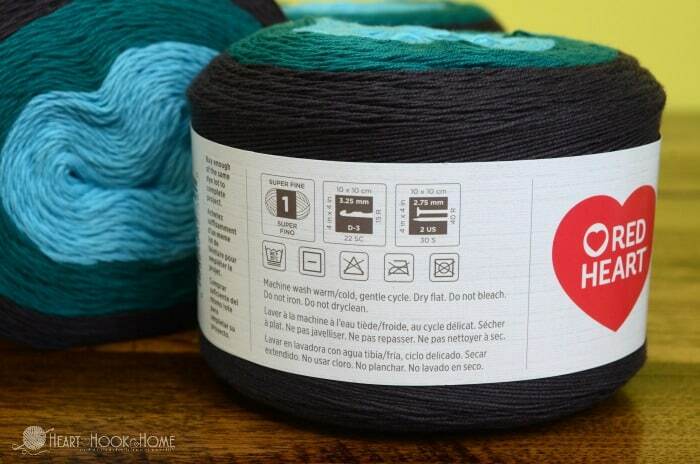 Read this independent review to see if this new yarn is a good fit for you! There’s a new, superfine yarn on the menu these days and, if you know me, you know that I couldn’t wait to run my fingers through it so I could tell you all about it. And I do mean allll about it. I must say that these yarn cakes are much smaller than they appear in photos. Kinda like the side-view mirror on your car; distorting the image making you think things are closer than they appear. 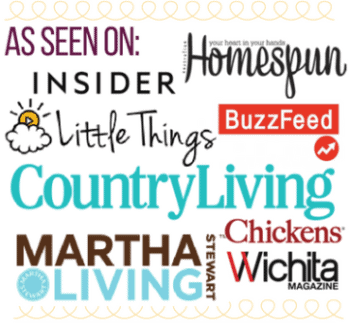 If you’ve seen Mandala at your local Walmart, you’ll know the size of them. Here’s a side-by-side comparison. 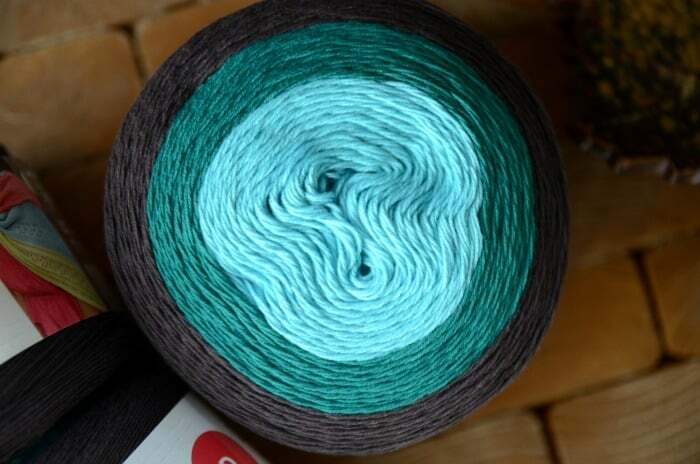 It makes sense though, being that the yarn is a super fine/size 1 yarn; the thinnest yarn on the market. The cakes, while small, contain a whopping 1100 yards of glorious, vibrant colors. Aren’t these colors just beautiful!? See all the available colors here. I love that this yarn is a 50/50 acrylic/cotton blend. This will help with the stretching while allowing a nice, soft texture. The recommended crochet hook size is a D/3.25mm and 2.75mm for knitting needles. Paying attention to the shipping costs will do you best, especially when Red Heart offers free shipping on $25+ or $35+ orders, which they do frequently. This yarn would be perfect for a flowy, lightweight wrap, shawl or scarf; one cake should be enough to complete such a project. That being said, working with very thin yarn makes me feel as if I’m making little to no headway. 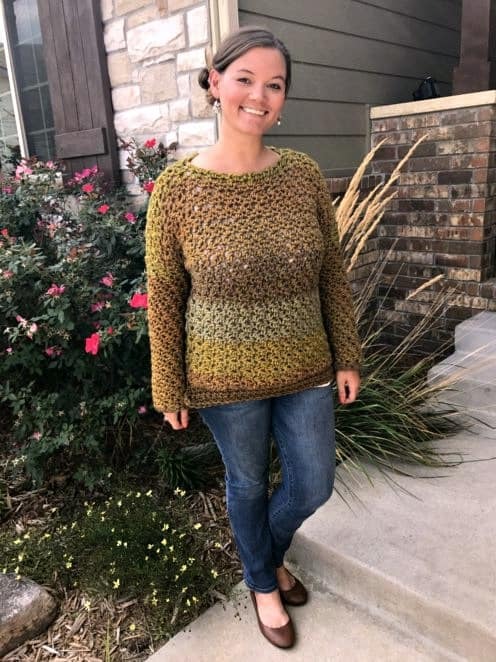 I personally am a very results-driven crocheter, so seeing measurable progress over a short period of time always hits my sweet spot. This size yarn simply does not satisfy that – no matter the brand. I’m going to try doubling up the yarn by using two strands, and offset the colors a bit so that the colors transition nicely in a staggering effect. I have no idea how this is going to turn out, but when I get my project completed I will be sure to share a photo! I give this yarn a 4.5 out of 5 stars. While I have an aversion to superfine yarn in general, I do love the feel of this yarn. I love the colors of this yarn. I love the texture and the amount of yarn in each cake and would definitely buy again if using a pattern calling for size 1/superfine yarn. When you try this yarn – or see it in stores! – let me know what you think! Just picked up the Western colorway from Michaels with a 40% off coupon - sweet! 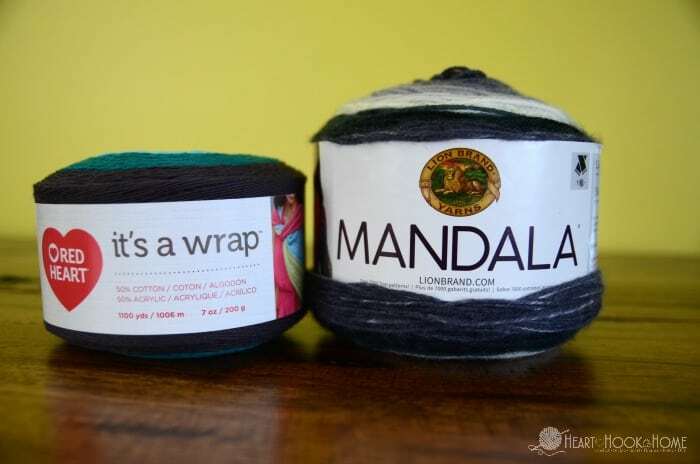 I’d love to see your project with the doubled-up yarn....please post! I saw this at my local micheals today for $9.99 each. Anyone have thoughts on using this for socks? Love love this yarn. Your review is spot on. I waiting to score a 60% coupon for Michaels and paid $3.99 - yeah me. I am also result driven and will consider combining with another yarn to see my progress. The colors are awesome too. 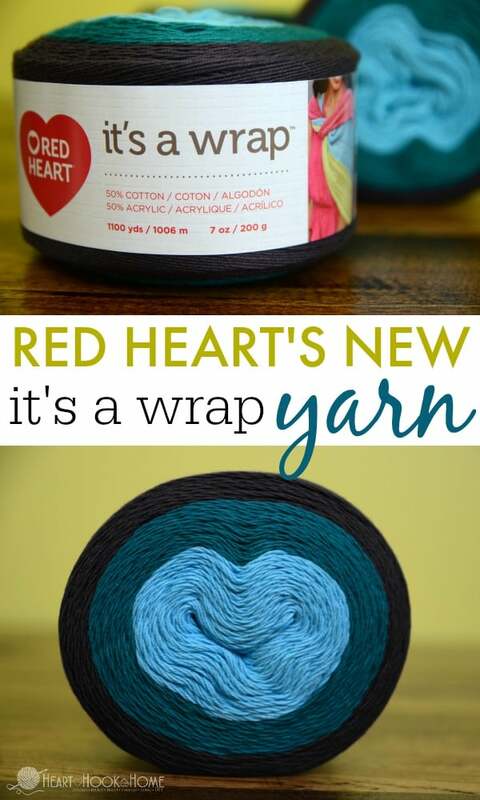 Love seeing Red Heart come out with another quality cotton/acrylic blend yarn. The color selection is absolutely beautiful! I find the thinner yarns to be especially rewarding, because of the quality and soft texture. Making scarves for my customers with this yarn would certainly lead to some ecommerce success for my small online hand-made garment business. Although the skeins look pretty small compared to others, you can't beat the final results. 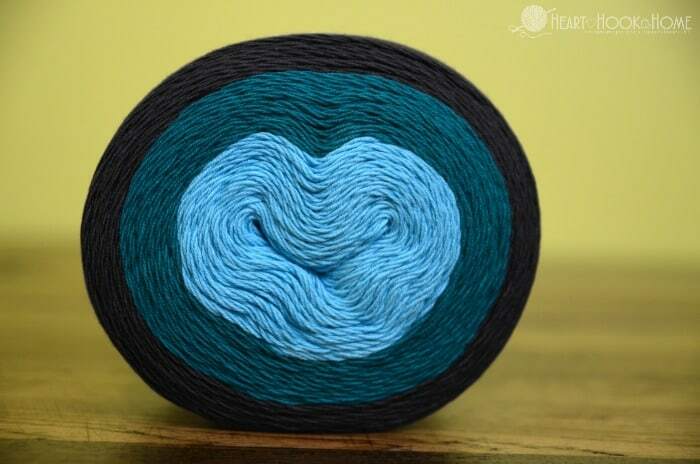 What pattern would you use for a shawl or wide scarf with this yarn? I'm having trouble with splitting, and my bobble or puff stitches come apart. It’s definitely on my list but I have tonnage of WIPS n PIPs (projects in planning) plus I still have to master Mandala yarns. But the colors n fiber blend intrigues me, so someday. I bought 2 tonight at Michael's. I think multiples in two different colors.. I saw some at my Michaels the other day with the crochet thread. The texture of the yarn and colors were beautiful. I have not yet purchased any but it is on my wish list. Can't wait for you to use multiple strands and see the effect it gives off. Thanks for this review.